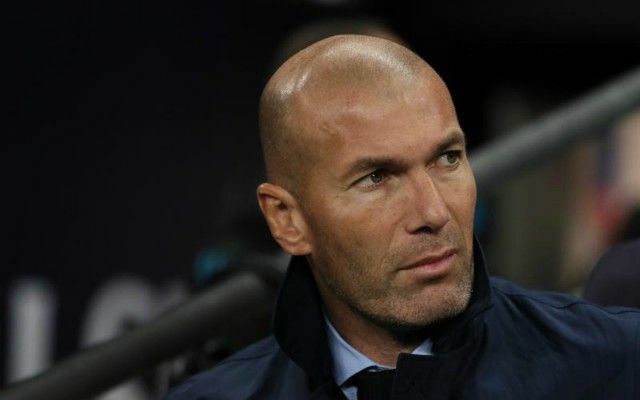 Former Real Madrid manager Zinedine Zidane has already identified four priority transfer targets for if he gets the Manchester United manager’s job. According to a stunning report from the Daily Mirror, the French tactician believes he could soon get an offer to replace the struggling Jose Mourinho. And as such, the 46-year-old has plans about who he’d sign for United, with four main players seemingly on his agenda. Zidane would look to raid his old club Real Madrid for Toni Kroos, and is also keen on Bayern Munich pair Thiago Alcantara and James Rodriguez, as well as Paris Saint-Germain striker Edinson Cavani, according to the Mirror. CaughtOffside were also told that Zidane has approached Antoine Griezmann about a transfer, and that the France international has revealed this offer to team-mate Paul Pogba, though it’s unclear how interested he is after only recently signing a new contract with current club Atletico Madrid. Zinedine Zidane set for Manchester United after immense success at Real Madrid? All these players linked would be superb additions for the Red Devils, who still look two or three signings away from building a squad capable of challenging Manchester City more strongly for the Premier League title. Cavani perhaps looks the most intriguing potential signing, with the Uruguay international proving himself to be hugely prolific in his career in Ligue 1. In six seasons at PSG, Cavani has 172 goals for the French giants, becoming their all-time leading goalscorer. The 31-year-old also looks ideally built for the Premier League, and could take United’s game to another level, even if he wouldn’t exactly be arriving during his peak years. It would be interesting to see how that could affect Romelu Lukaku, who has actually been one of Mourinho’s more successful signings. Zidane looking at midfielders like Kroos and Alcantara perhaps also raises questions about Paul Pogba, who has been linked with a move away from Old Trafford in recent times. Could Zinedine Zidane’s midfielder search also mean he’d try to replace Paul Pogba? ESPN report that United have put off contract talks with the 25-year-old for the time being due to his being unsettled by the club amid interest from Barcelona. Either of those players would be fine replacements, however, if Zidane does end up losing Pogba, who simply hasn’t looked worth the money invested in him or the hype that surrounds him in his time in England so far. Is Zidane the right manager for Man Utd?